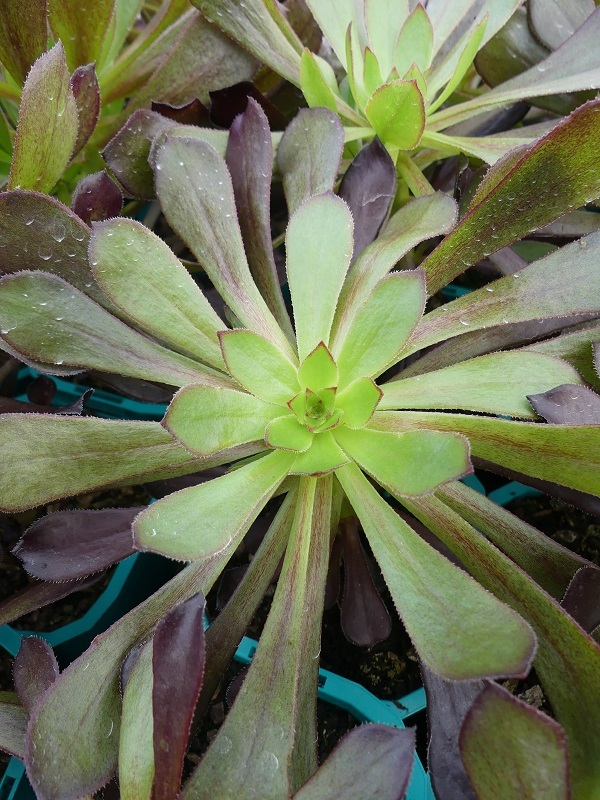 A bold dark-purple succulent which forms branched stems up to 3 feet high. Rosettes are formed at the ends of the stems. Yellow flowers form long clusters in the summer. Grow in full sun near the coast and partial shade and water occasionally. Use a succulent specific potting mix when growing with a liquid fertiliser. Before planting cultivate soil to a depth of 20cm and mix in compost and a complete garden fertiliser. Use Oderings Potting & Basket Mix for containers.